When I tell people that I’m taking photos at Gooseberry Falls State Park and then they don’t see any photos of the waterfalls, they get super confused. But, the prettiest spot at the park is by the Lake. I mean, look at these photos. C’mon. SO BEAUTIFUL I CAN BARELY TAKE IT! 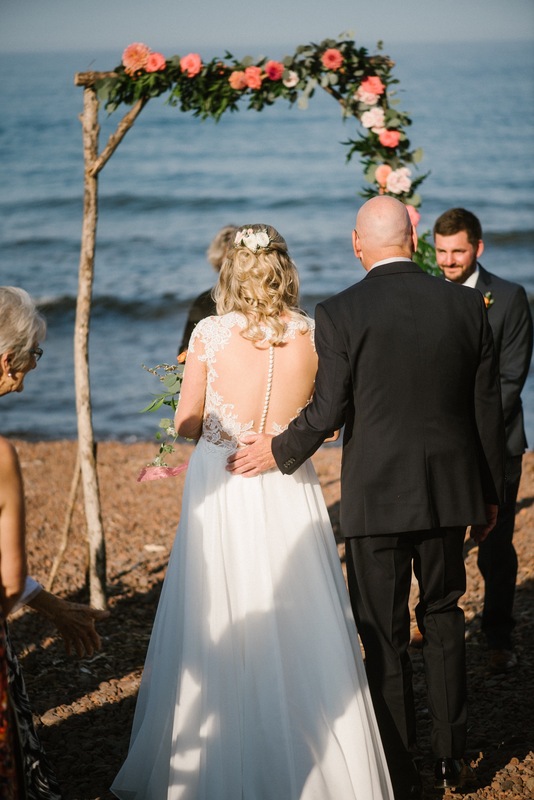 Hannah and Thomas worked with Emily at Lace and Brass Events to create the sweetest ceremony. Flora North put together a seriously beautiful bouquet that just so happens to have the color of the year in it for 2019. That coral color is SO GOOD!